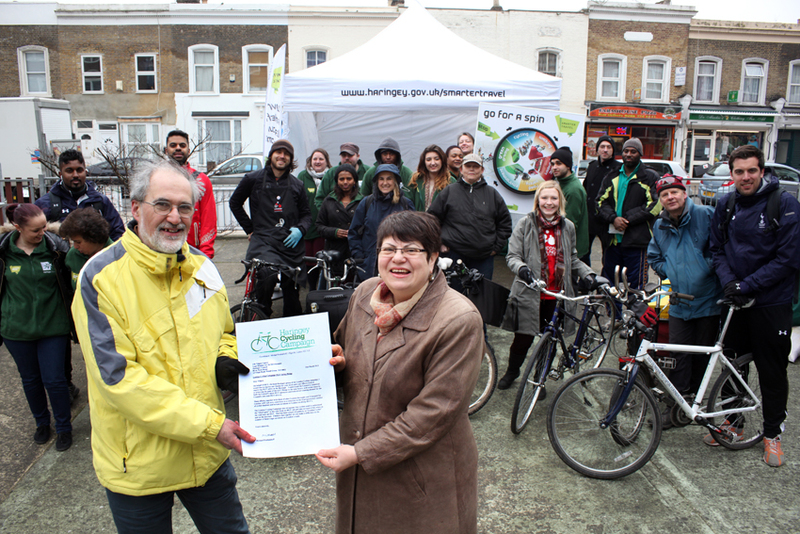 On behalf of HCC, the local Haringey group of the London Cycling campaign, I would like to express our thanks for your work and your officers work in improving HGV safety in the Borough. I understand the Council is committed to achieving the aims of the LCC Pledge in the near future, with action taken by both the Councils main HGV operators and with driver training planned for the Councils own non-HGV drivers. These efforts, together with those of other London Boroughs and Transport for London, will I am sure, contribute to a reduction in the disproportionate number of cyclist fatalities and serious accidents in London involving HGV’s. The London Cycling Campaign also recognises that cyclists need to understand the “blind spots” in the view from an HGV cab and take account of this when on the road near an HGV. This has been subject of publicity in “London Cyclist” and on the internet. I believe that together we can make a difference to the number of these tragic accidents on London’s roads.